Nic thrives off relationships and helping understand what truly makes people achieve ultimate happiness by being at the center of his client's financial lives. His passion for people found him starting a career at Northwestern Mutual in early 2011 and drives a successful financial planning practice. 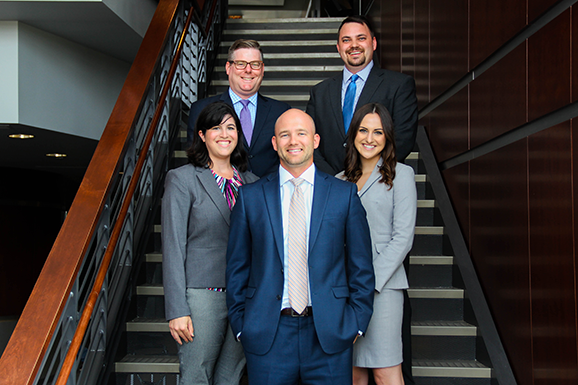 "We bring world-class financial planning due to the clarity and education that we provide. Rather than focusing solely on either insurance or investments, we've found that a true sense of security is delivered by incorporating both in a comprehensive financial plan." Nic truly enjoys having in-depth conversations with individuals, families, and business owners to help them achieve financial security. With well-designed and thought out financial plans, Nic helps educate his clients to make important decisions to live differently and achieve their goals of financial security. While working with world-class products and solutions, he and his team also build strong relationships with each and every client. Nic's success with Northwestern Mutual began with his internship experience, where he reached the Top 10 of all interns nationwide. The following year, he was the Runner Up amongst former interns in their first year of full-time work. Since then, he has been a member of the Million Dollar Round Table multiple times, which represents the top financial services professionals in the world. Outside of work, Nic loves spending time with his friends and family. He is also very passionate about the outdoors and country music. His love for hunting, fishing, and concerts keep him occupied in his free time. He is involved with Alex's Lemonade Stand, People's City Mission, and Focus Campus Ministry.